Very often there is curiosity that what is that which IIMs expect from students? We thought of putting this query to Prof. Neeraj Dwivedi who is a convener of CAT 2018. Prof. Neeraj Dwivedi again conveyed that there won’t be any major change in CAT pattern and aspirants should continue to prepare for CAT 2018 on previous trends. 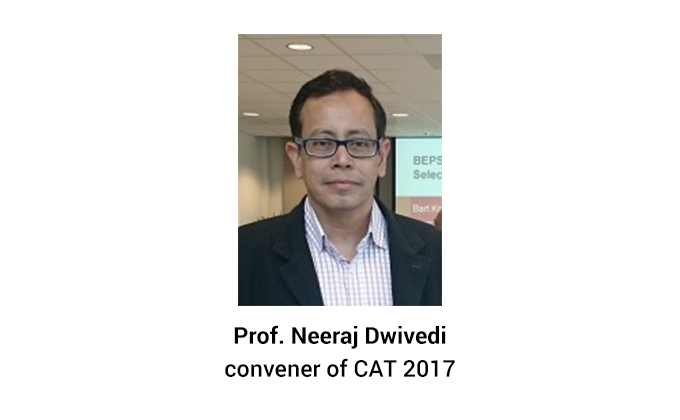 Prof. Neeraj Dwivedi of IIM Indore is the convener of prestigious CAT 2018 will be held on Sunday, November 25, 2018 on behalf of 20 IIMs in November 2018. He further advised aspirants like you to focus and continue preparation. But accuracy must be dealt while keeping speed and time top of mind. CAT has a sole objective to select the best candidate with qualitative skills; later on having been shortlisted CAT aspirants will have to face GD & PI wherein the soft skills like communication & attitude will be tested. This year also it is expected that more than 2 Lac plus CAT aspirants are likely to register.